Enjoy your First Lesson FREE!!! We offer PRIVATE DANCE LESSONS for singles and couples of all ages and abilities. Whether you want to learn to dance for fun, for your wedding, or competitively, we have it all here at Dance Sport Academy! We teach fundamentals of more than a dozen dances including Salsa, Cha Cha, Tango, Waltz, Foxtrot, Swing, Hustle and more all while advancing technique and styling. We offer social dance lessons and teach club style dances. We offer wedding choreography dance lessons and competitive dance coaching. Whether you are a beginner or advanced dancer, our professional staff and friendly atmosphere will develop your confidence on and off the dance floor. Ideal for the busy professional, your social dance lessons are scheduled at your convenience; your first visit will feature a complimentary 30-minute lesson and dance analysis. Your training will be individualized to meet your needs. All adult private dance lessons must be booked in advance and are by appointment only. Call us today to schedule your first dance lesson anytime Monday through Thursday from 1pm to 10pm, we also have availability on Fridays and Saturdays. Private lesson packages are available at discounted prices. We also offer private group classes ideal for a wedding party or just for a fun gathering of friends. Let your first dance as husband and wife set the tone and get the party started! A time-honored tradition, your wedding dance symbolizes your lasting bond. Make an outstanding first and lasting impression on family and friends with wedding dance lessons at Dance Sport Academy. Over the past thirty years, we have been honored in helping countless wedding couples on the Main Line in Philadelphia area master the steps and rhythm of their special dance. Dance Sport Academy helps you gain the confidence and skills to achieve a romantic wedding dance worthy of cherishing. One of the most anticipated events of your wedding day, your first dance needs planning, preparation and practice. The perfect stress reliever, dance lessons offer you an opportunity for a fun and rewarding experience before the big day. Your FIRST LESSON is FREE! Contact us today to schedule your first appointment. 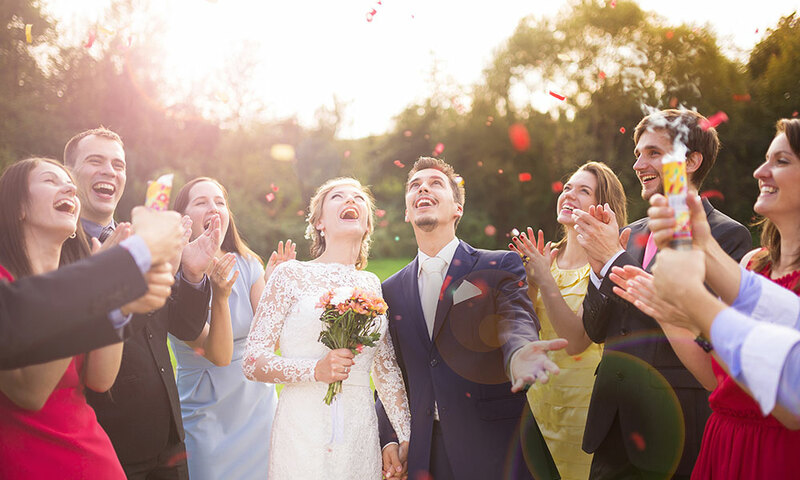 Our expert teachers recognize that couples have different abilities, goals and learning styles, so we offer you a FREE wedding dance lesson and evaluation to determine what’s right for you. Just call us at 610-642-2525 to make an appointment! Get more out of your wedding by starting everyone’s excitement early! In addition to private dance lessons for the wedding couple, we offer private social dance lessons for the wedding party family and guests. You’ll find dance lessons are a great way for family and friends to develop closer relationships in a warm and upbeat atmosphere. Start four to six months early. This allows more time to practice together and build knowledge and confidence, especially if you are a newcomer. Bring your special song in any format or alternatively, if it is available on Youtube we will be happy to play your song from there. Whether you are looking for basic improvisation or intricate choreography, we will work on it until you develop complete familiarity with your dance. Coordinate your dance with your videographer. You will get the best coverage of your dance, and the ability to watch it for years to come. When you watch the video you will be amazed at the difference your dance lessons made. As a competitive dance studio we offer comprehensive competitive dance coaching for more advanced students. We train amateur dance couples and PRO/AM dance students. Programs are developed for your specific dance goals and level. We offer comprehensive dance classes for Kids/Teens and Adults. Taught by award-winning instructors, our group dance classes – in Ballroom, Latin, Salsa dance, Argentine Tango and more – introduce dance fundamentals such as footwork and partnering. 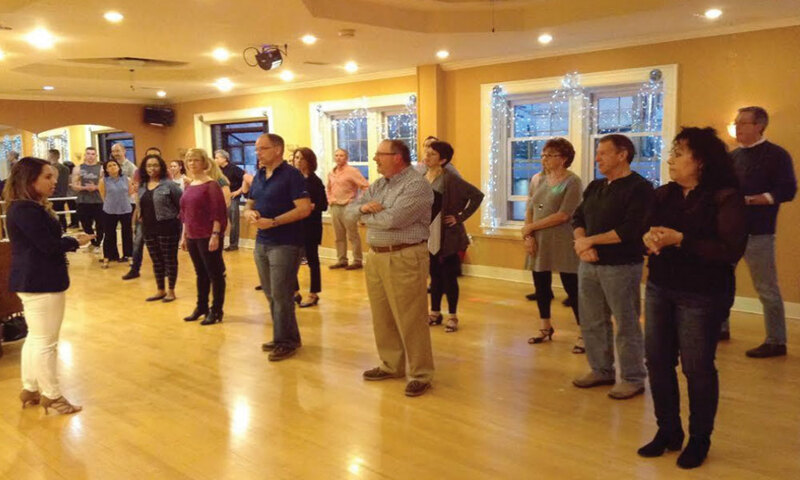 Join the interactive and lively group atmosphere at Main Line Dance Sport Academy. Our group social dance lessons create a supportive environment in which you feel comfortable being challenged and are encouraged to take risks. Dance students experience partner dancing with the instructor as well as a variety of peers. Individuals will also practice steps on their own. Whether you come by yourself or bring a partner, you won’t want to miss the social excitement as students connect and move to the music in dances such as Salsa, Tango, West Coast Swing, Cha Cha, Waltz, Foxtrot, and more! Please check our social dance lessons schedule at the bottom of this page to see our current classes. Advance online reservation is required. New to group classes? No problem! No partner is necessary, please choose one of our beginner classes. For many, social dancing begins at an early age. Our dance lessons for kids are specifically designed for kids ages 8 to 11 years old. Our teen social dance lessons / classes are specifically designed for kids ages 12 to 18 years old. We offer dance classes for teenage beginners and intermediate students. Our dance classes for kids combine fun with exercise while teaching the basics of Ballroom and Latin dance, including footwork, leading and following, timing, and musicality. ENROLLMENT IS OPEN and ongoing throughout the year. Want to get started? It’s easy! Check out our on-line reservation system. Create an account and start reserving for a series of classes!